A View of Chicago from Oliver Park. 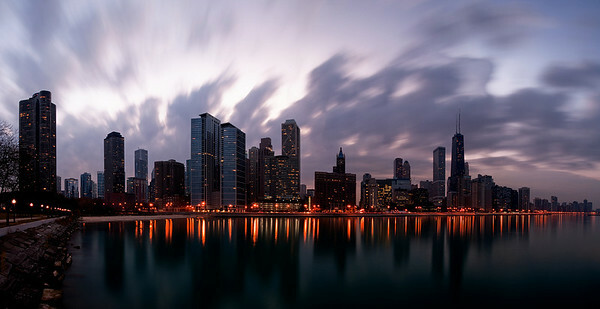 A Large Scale Panoramic of the Skyline from North Avenue. A look at Chicago from a little higher of a view. A large Panorama of the River North are of Chicago! Chicago's Skyline right after sunset! Sun setting over Diversey Harbor. One of Chicago's many harbors, the view from the Diversey Harbor. 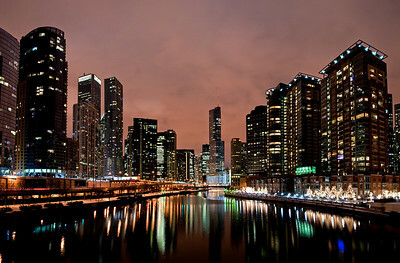 A large three shot Panoramic view of the Chicago River taken from the Lakeshore Drive Bridge. Chicago's Beautiful skyline on a spring afternoon! The sun setting behind the Chicago skyline making it look like it is on fire. Chicago's Navy Pier's Fourth of July Fireworks. Chicago's Iconic Skyline along which many dock their boats.